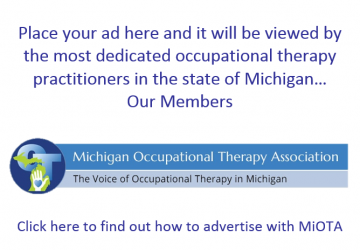 MiOTA is a voluntary professional association of occupational therapy practitioners who are dedicated to supporting the profession through advocacy and communication. MiOTA members are a proud group of engaged professionals who believe in the profession of OT in Michigan, today and in the future. Have your interests in expanding payments and access to OT services represented by MiOTA with all major payors including Blue Cross, Medicare, Medicaid, managed care organizations, worker’s compensation and no fault auto insurance. OT – May vote on all matters to come before the members to vote, may be eligible for office and serve on any committee subject to the qualifications established for the particular office or committee. OTA –May vote on all matters to come before the members to vote, may be eligible for office and serve on any committee subject to the qualifications established for the particular office or committee. 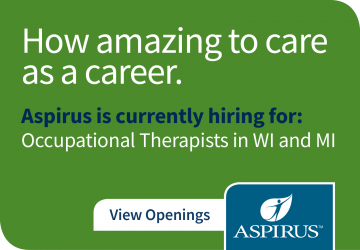 Student – Individuals in an accredited professional or technical program of occupational therapy or a graduate of a program that have not yet achieved OT or OTA status. Student members may not vote and are not eligible to hold any office. 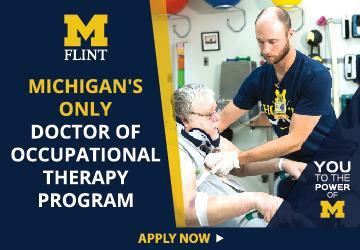 Associate – Individuals interested in occupational therapy but who are not eligible for OT or student membership status, must be invited by Executive Committee to become an associate member. Associate member may not vote and are not eligible to hold office. Honorary – Individuals who have performed distinguished service in the field of occupational therapy and have OT or OTA membership status. Honorary members are members of MiOTA for life, with the payment of additional membership fees. They have the rights associated with OT or OTA membership status. Retired – individuals who have ceased the active practice of occupational therapy and have attained age 65, have 20 years of active service in the field of occupational therapy and while active in practice were qualified for OT or OTA membership status. 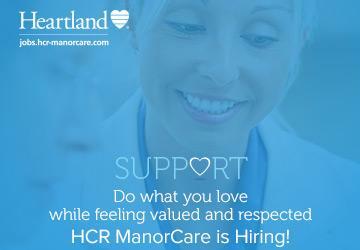 Click Here to join MiOTA now!